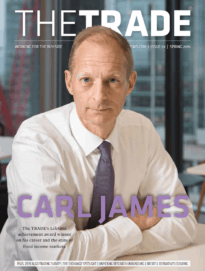 We take a closer look at this year's Leaders in Trading nominees for market data and block trading. The market data business run by Bats was one of the key factors when CBOE agreed to buy the stock exchange operator. And for good reason. It is paving the way in launching new indices using real-time market data in Europe and the UK. In March it launched a new Brexit index, designed to assess the impact of Brexit on companies with large revenue portions in the UK. It has also teamed up with both Bloomberg and Trax to combine their reporting services and help clients manage data reconciliation. Bloomberg holds a 33% market share over market data through its flagship Bloomberg Terminal business. A recent report by Burton-Taylor Consulting revealed Bloomberg’s market share remains high as a result of growth in data feeds. Bloomberg is gearing up its market data capabilities, with MiFID II fast approaching. One example where this is evident is its partnership with TP ICAP, in which the interdealer broker has deployed Bloomberg Entity Exchange’s platform to collect data on users and transactions, as required by the incoming regulation. The FTSE Russell index business, owned by the London Stock Exchange (LSE), has been a constant driver of revenues for the group. Throughout the year, the LSE has sought to strengthen the position of FTSE Russell at the world’s number one index provider, and acquired the Yield Book and Citi Fixed Income Indices from Citigroup for $685 million. The deal expands the FTSE Russell franchise to offer fixed income indices and analytics. The LSE expects to see double digit growth over the next two years for the business. Providing solutions for MiFID II has been a key focus for Thomson Reuter’s data business. It has not only upgraded its analytics platform to stream large volumes of data in real-time, it has formed new partnerships and developed new products to allow clients to comply with the rules. It has incorporated its data platform Elektron with an APA operated by Tradeweb to connect analytics, data feeds and trades that have been reported. The integration of REDI’s execution management system and Thomson Reuter’s data services was the final piece for its acquisition of REDI earlier this year. The pan-European exchange has long been involved in providing a dark trading environment, but since the double volume caps were confirmed has sought to boost its block trading as well. Its Bats Large in Scale (Bats LIS) service provides an indication of interest negotiation and execution platform for market participants to secure block trades where possible and reduce the use of smaller dark trades. The agency broker’s POSIT platform has long been a staple of electronic block trading around the world, but being part of the block trading old guard has not stopped ITG continuing to innovate. In April it announced the launch of a conditional order function on POSIT Europe, a direct response to the MiFID II caps, enabling market participants to execute against block liquidity in POSIT MTF. Another of the block trading old guard, Liquidnet has, like ITG, sought to continually improve its offering as competition for block trades heats up across Europe. As well as focusing on providing a broader array of tools to its buy-side clients, including algorithms and trade analytics, it has also launched its Liquidnet Labs programme to innovate with budding FinTech entrepreneurs. London Stock Exchange Group’s pan-European trading venue has been making a sustained push for block trading business over the past few years, teaming up with buy-side initiative Plato Partnership to extend the reach of its Block Discovery service. 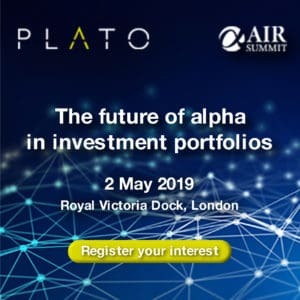 It has seen a significant increase in Block Discovery trading over the past year and through Plato it will fund research into European market structure for the benefit of traders.